Brace yourself for this next artist who made it to the Blind Auditions of The Voice of the Philippines Season 2. If you are fan of Rivermaya, you probably know who Jason Fernandez is. Rivermaya was Bamboo’s original band and in an unexpected event, Jason Fernandez, the former vocalist of the famous band in the country tried his luck to impress the judges so that they will turn their chairs and include him in their groups. Jason, as an experiences singer, found the love of his life through his job as an artist. Jason performed the Eraserheads classic “Huling El Bimbo” and it sounded like Rivermaya. Jason found it hard to impress all the judges with his performance, but good thing that Apl.de.ap turned his chair. The song was performed well by him. When the coaches knew that he came from Rivermaya, they appreciated him and said that he was really good. What Coach Apl.de.ap liked the most about him is that he was able to speak up his voice, the real he, in singing. Apl was looking forward to working with him. Jason is from Sta. Rosa, Laguna. If you would like to know more about Jason, you can refer to Rivermaya related articles and videos. 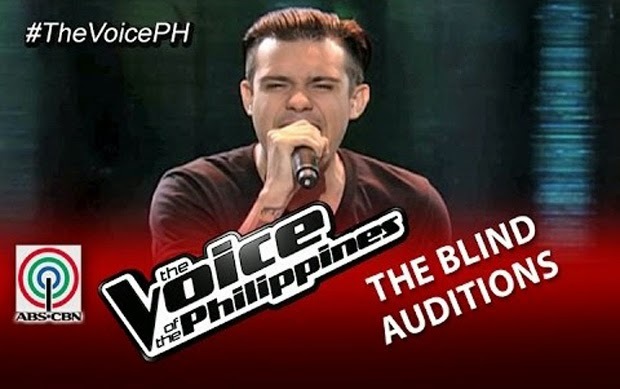 Congratulations to the former Rivermaya vocalist since he made it to the Blind Auditions. This artist has a lot to offer. What I liked the most from The Voice of the Philippines is that there is no favoritism on famous artists who joined. When we look at the coaches, they do their best to listen well to each and every artists so that they will be able to decide in the end. Anyways, congratulations Jason!